Another victim has come forward to accuse San Diego Mayor Bob Filner of sexual harassment. This time, the accuser is also a great-grandmother. Peggy Shannon, 67, announced Thursday that she has filed a sexual harassment claim against Filner. She says Filner repeatedly kissed her on the lips and called her "his girl." "My co-workers and I would laugh about it at first," Shannon said. "But when it kept happening and it got more and more inappropriate, it was not funny any more." "Every day I went to work I had butterflies in my stomach because I did not know what was going to happen the next time the mayor came by my desk,” Shannon said. 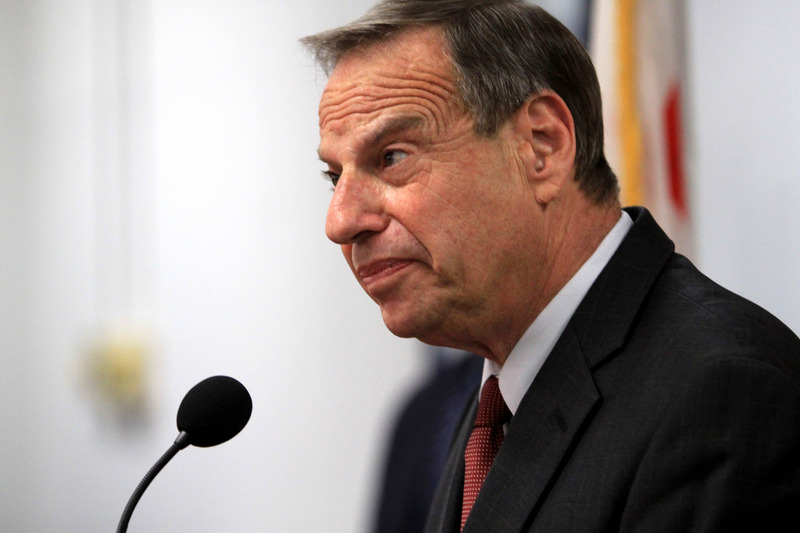 That brings Filner's total number of accusers to 16, as another woman came forward earlier Thursday. California Senator Barbara Boxer has issued an open letter to Filner asking him to step down. "To avoid hurting your victims and the people of San Diego more than you already have, you should step down immediately," Boxer wrote in her letter to Filner last week. Filner is supposed to make remarks at the press conference later today. The remarks will be his first since completing therapy at a behavioral counseling clinic. Filner was scheduled to start treatment on Aug. 5, but finished the "two-week treatment" one week early, on Aug. 9. Filner's Chief of Staff, Lee Burdick, told 10News that Filner entered the program one week earlier than originally planned. In other news, San Diego Hooters restaurants have proactively banned Filner from eating at their establishments.